HP is getting ready for the back-to-school shopping season ahead of schedule this year (the current school year isn’t even up yet). On Tuesday, the company unveiled a bevy of new Windows 10 machines including new laptops, convertibles and a desktop tower but it was a pair of all-in-ones that impressed the most. The new Pavilion AIOs are offered with screen sizes of 23.8 inches and 27 inches. The smaller of the two features an optional “micro-edge” display, a snazzy name for its thin 0.25-inch bezel. The thinner bezel also allows for a bit more flexibility in terms of viewing angles, tilting from -5 to 25 degrees versus 0 to 25 degrees of freedom with the standard bezel. Speaking of display, you can configure the system with either a full HD or Quad HD panel. Perhaps the coolest feature of all is the privacy-minded webcam. On select models, the camera physically pops up from within the bezel via spring mechanism. Even if someone hacks your cam, they won’t be able to see you. That sure beats putting a piece of tape over the camera. 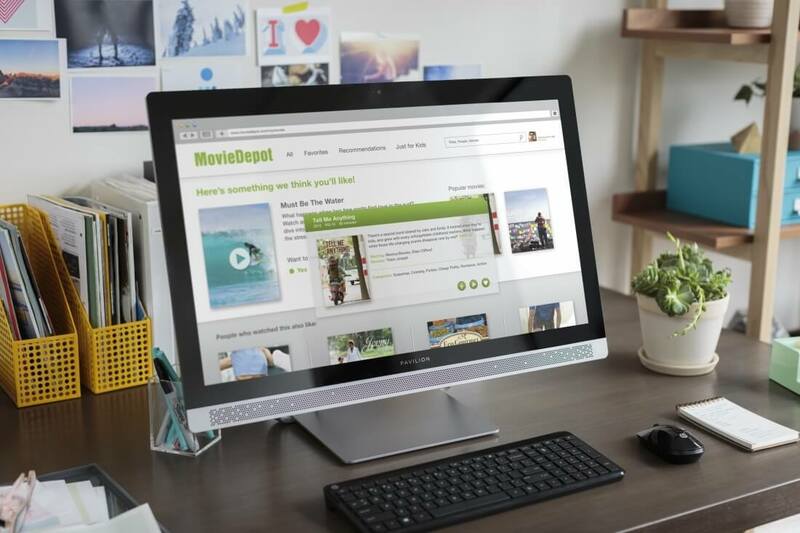 HP says the AIOs can be configured with up to a sixth generation Intel Core i7 processor, an Nvidia GT 930A graphics card, up to a 1TB hybrid solid state drive, 16GB of RAM and Intel’s RealSense camera. You also get USB 3.0 Type-C connectivity in addition to USB 3.0, USB 2.0, HDMI out, LAN, a headphone / mic combo jack and an optional 3-in-1 card reader. If you’re in the market for a space-saving AIO, HP’s new Pavilion systems hit retail stores in July with pricing starting at $700.